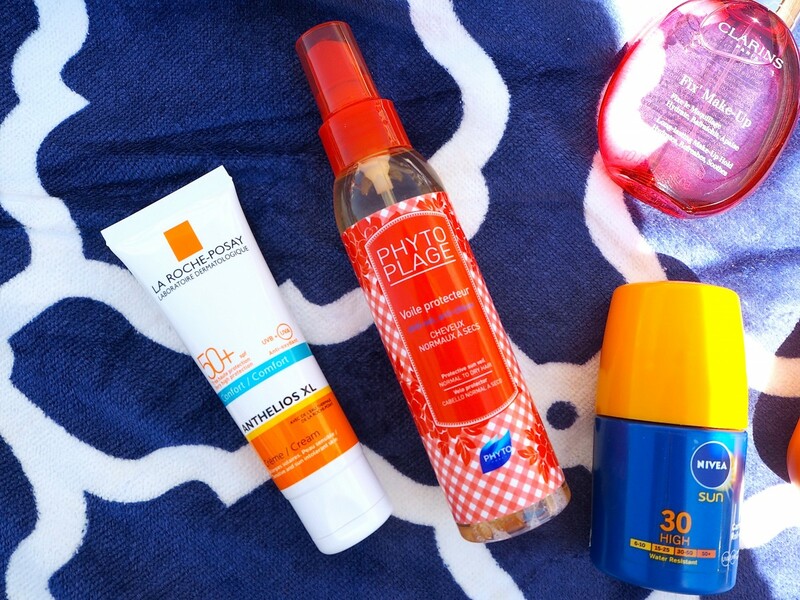 Fresh from Ibiza, today’s post is going to be all about those poolside (or beach) essentials. 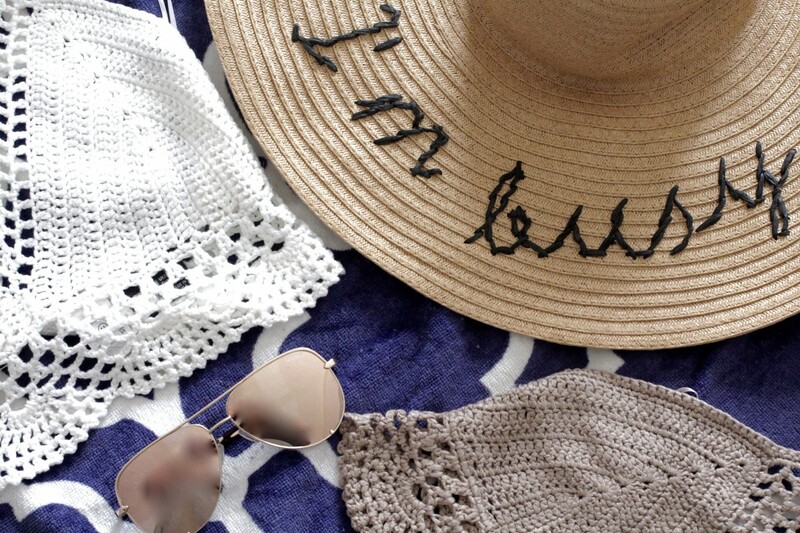 You know, those must-have items that is needed for a day laying in the sunshine and/or swimming in the pool, drinking a few cocktails, yet still wanting to look super chic and stay protected of course. So let’s get straight before I waffle on about other things…..
A good pair of sunglasses is always on top of my list as a poolside essential, for its ability to protect my eyes from the rays so I can see better as well as hiding any dark circles, I just need remember to take them off before a long sunbathing session to avoid that dreaded goggle-eyed look. My current faves are these rose gold ones from Quay Australia. In extreme hot weather, a hat is a must to protect my scalp from burning, so I always pack a wide-brimmed one as it helps protect my eyes also and looks super stylish for those Instagram worthy shots. This one from ASOS is perfect and I just love the ‘I’m Busy’ embroidery. Last of the fashion items, I’m currently a massive crochet fan and absolutely adore these little crop style ones for throwing on over a bikini or wearing it on its own for poolside parties. I bought some cute ones from Primark and Topshop for my holiday, then realised that they’re actually super easy to make yourself, so I’ll definitely enlist the help of my grandma who’s a knitting expert to guide me in the right direction (currently browsing Deramores for knitting tools). Moving on to beauty products, I only take a few key items with me as I prefer not to have to lug a massive bag to the pool or beach. First up, no doubt, the most important is sunscreen. I have factor 50 for my face and factor 30 for my body. The La Roche Posay Anthelios range is a godsend for sensitive skin and is definitely one of my favourite SPF’s for the face. 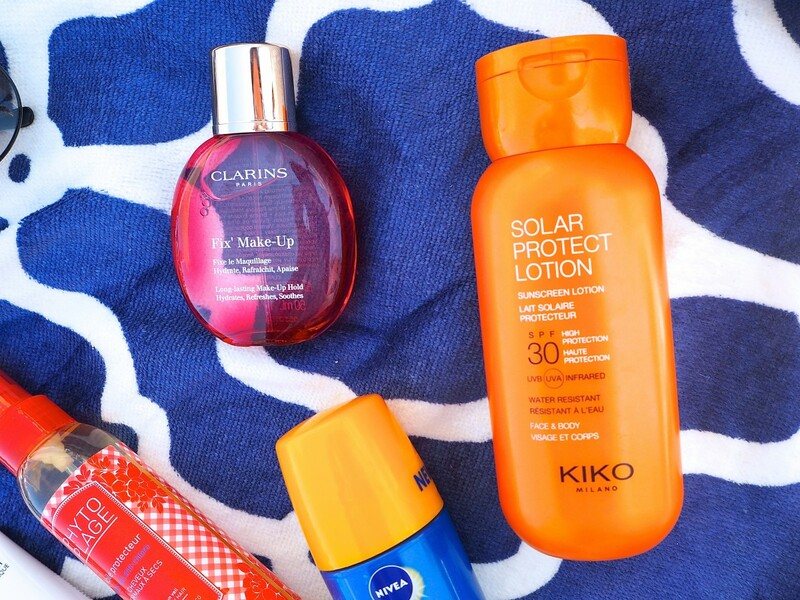 For body, the Kiko Solar Protect Lotion leaves me completely protected all the way and the Nivea Roll On SPF is super easy for application and perfect for those hard to reach areas. If I am exposing my scalp and hair to the sun, then I spray the roots of my hair with the Phytoplage Protective Sun Veil, not only does it protect from the rays, but it also creates a bit of texture for my hair, making it look less flat. Lastly, to refresh my skin from time-to-time, I use the Clarins Fix Make Up, technically a make-up fixing spray; this is also great for cooling down the skin and provides hydration throughout the day. 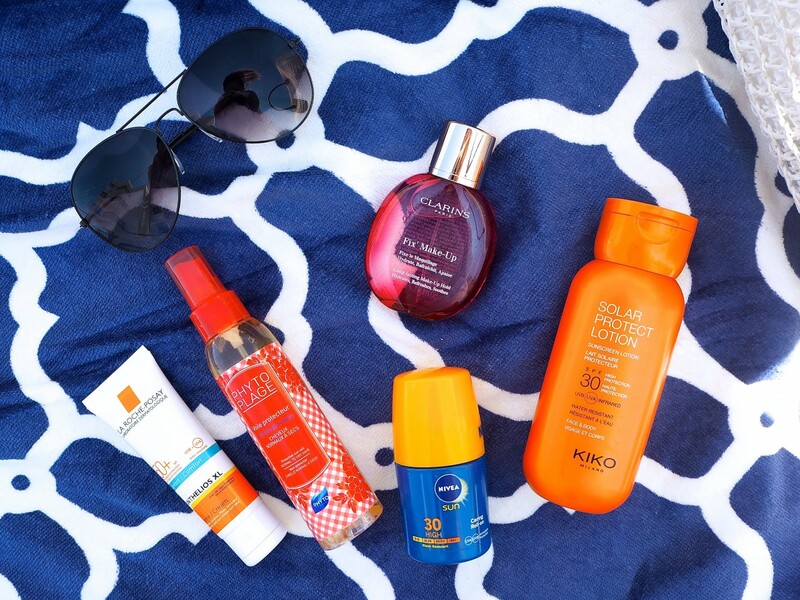 What are your poolside essentials? *This post is in collaboration with Deramores.